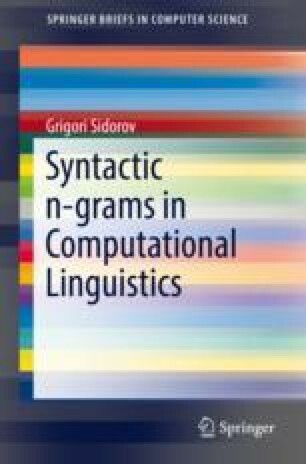 We have conducted various experiments  in order to test the usefulness of the concept of syntactic n-grams. Essentially, we consider the task of authorship attribution, i.e., there are texts for which the authors are known and a text for which we have to determine the author (among the considered authors only). In our case, we use a corpus composed of texts written by three different authors.